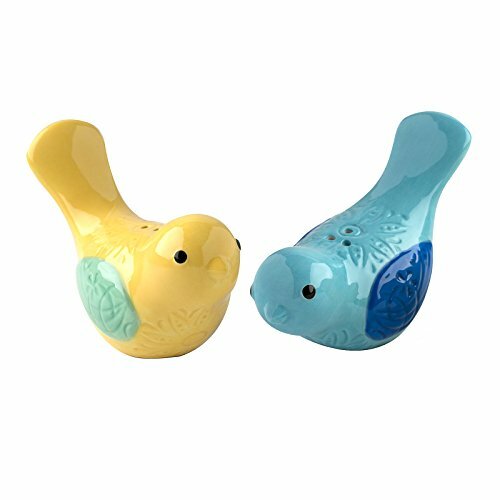 The Painted Bird shaped ceramic salt and pepper shakers by Amici Home are a fun way to decorate a table for a party. The textured, painted multicolor design on these pieces makes it easy to add a decorative and whimsical element to your table. Each one has a 2 ounce capacity, and are re-fillable. If you have any questions about this product by Amici Home,, contact us by completing and submitting the form below. If you are looking for a specif part number, please include it with your message.